A pioneer in early intervention services specific to autism, Eden’s infant and toddler program – often referred to as Wawa House in recognition of the extraordinary financial support of Wawa, Inc. – is designed to provide children under the age of 3 with individualized therapeutic services. Grounded in Applied Behavior Analysis (ABA) and comprising therapies such as behavioral, sensory integration, and speech and language, our child-initiated, adult-directed approach capitalizes on the child’s interests and motivations to develop age-appropriate skills. Through this approach, the therapist builds rapport with the child and establishes beginning language, play, imitation, and social interaction skills. Behavior Plans are developed as needed to address challenging behavior patterns. An Individual Family Service Plan (IFSP) serves as the basis for each child’s program and is intended to reflect the family’s needs as well as those of the child. The IFSP establishes whether services are provided at home, daycare, preschool, or in a combination of settings. 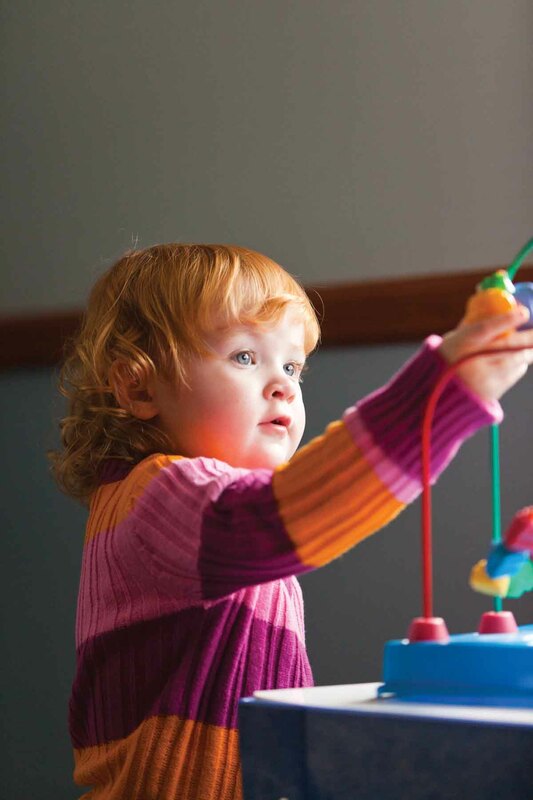 Individualized goals for each child focus on learning readiness, play, and cognitive skills, communication and speech development, self-care and motor skills. To ensure steady progress, objective measures are collected and evaluated daily. Each child’s progress is summarized in a comprehensive report on a quarterly basis. Eden believes that one of the strongest predictors of a child’s progress is the strength of the parents’ conviction that they can be effective facilitators in their child’s development. Therefore, parent training, support, and advocacy services are critical components of the infant and toddler program. Parents receive individual and group training, home programming, and guidance in how to be effective advocates for their children. Parent education workshops and support groups are also offered. Eden offers therapy for children age 3 and above as a supplement to their school programming. All sessions are provided on a 1:1 basis. Services may be delivered at a variety of locations including Eden, in the child’s home, or in community settings. Strategies are adapted in each setting to teach social and communication skills, play, and self-care, as well as appropriate behavior. In-home therapy serves to guide the family in developing therapeutic techniques to be used at home regularly. 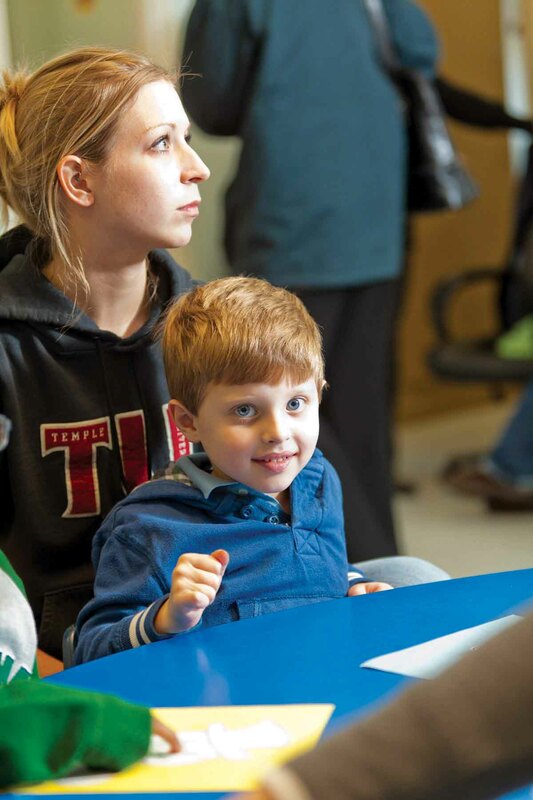 Behavioral therapy uses focused, individualized goals to develop skills in the areas of play, social interaction, receptive and expressive language concepts, pre-academics, academics, and self-care. Behavior Plans are developed as appropriate to address challenging behaviors. Speech and language therapy sessions begin with an assessment of each child’s present level of communication, followed by the development of specific communication goals. While emphasis is placed on verbal speech, augmentative systems may also be taught to aid a child in his or her individual communication efforts.